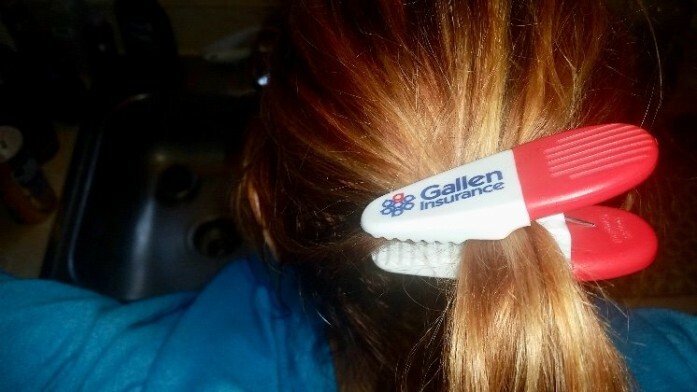 No worries, use a Gallen Insurance chip clip!! Did you forget your hair tie? No worries, use a Gallen Insurance chip clip!! No worries use a Gallen Insurance chip clip! !